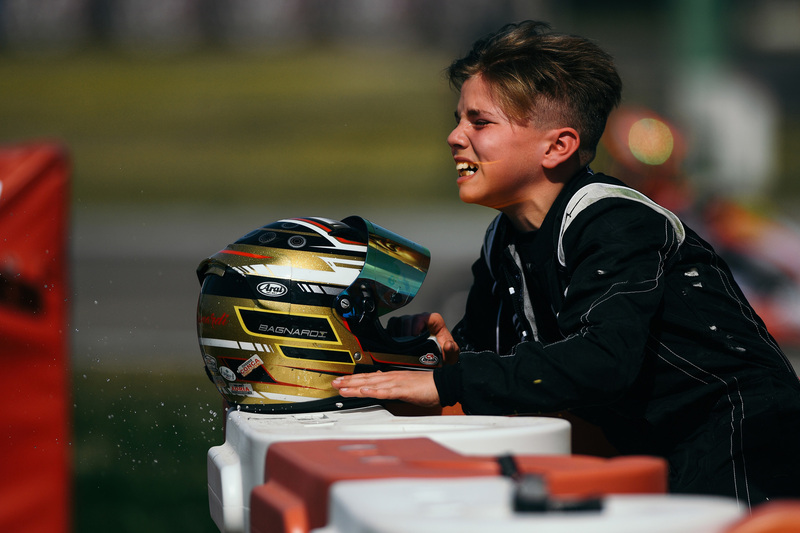 21 images capture the victories, failures, and spectacular moments of the third round of the 2019 championship. 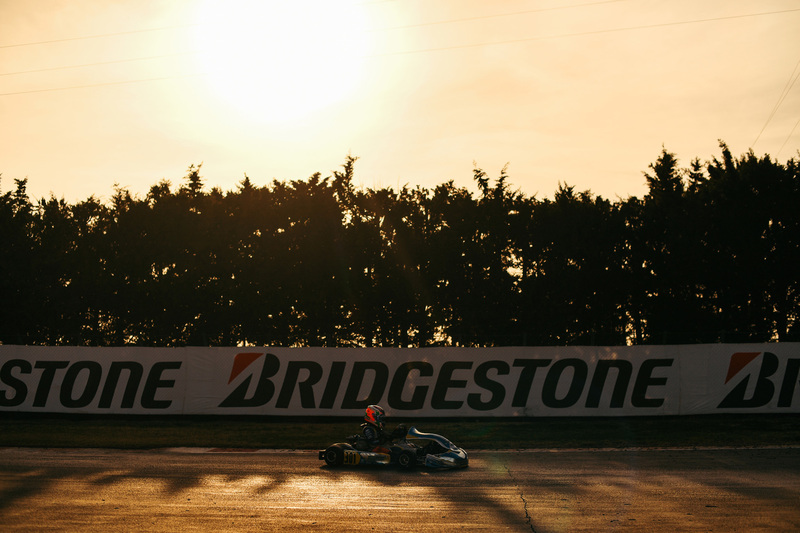 James Wharton flies over the most famous chicane in karting. 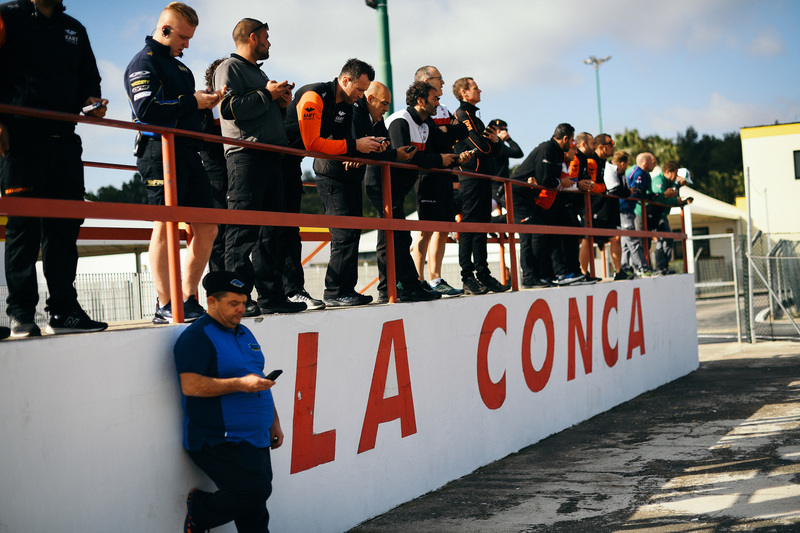 Awesome podium in La Conca, were drivers get to celebrate very close to the fans on the grandstand. Moments of happiness from Energy after a win. 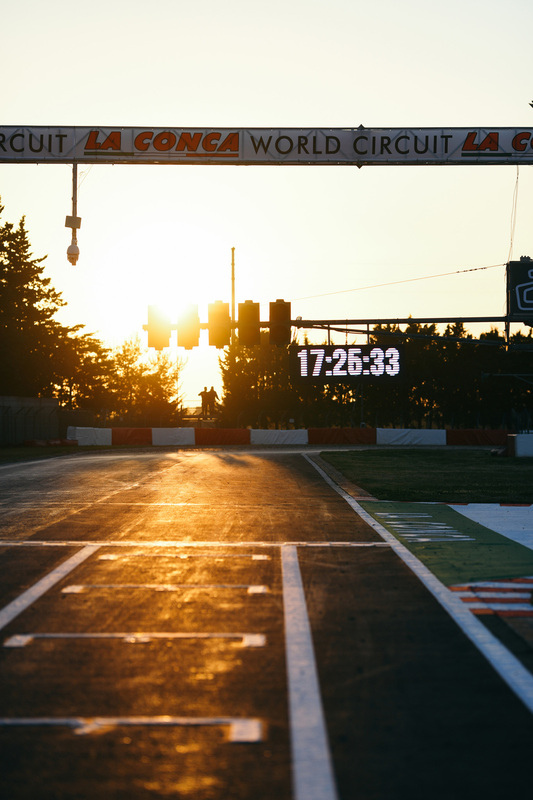 The most beautiful sunset captured during the Mini final. 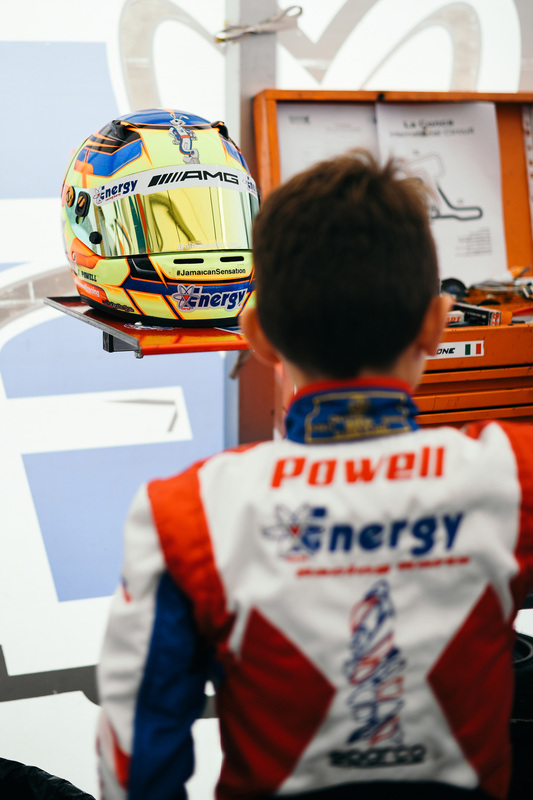 Alex Powell (Jamaica) looks at the track layout. Plenty of good undertaking points in La Conca. 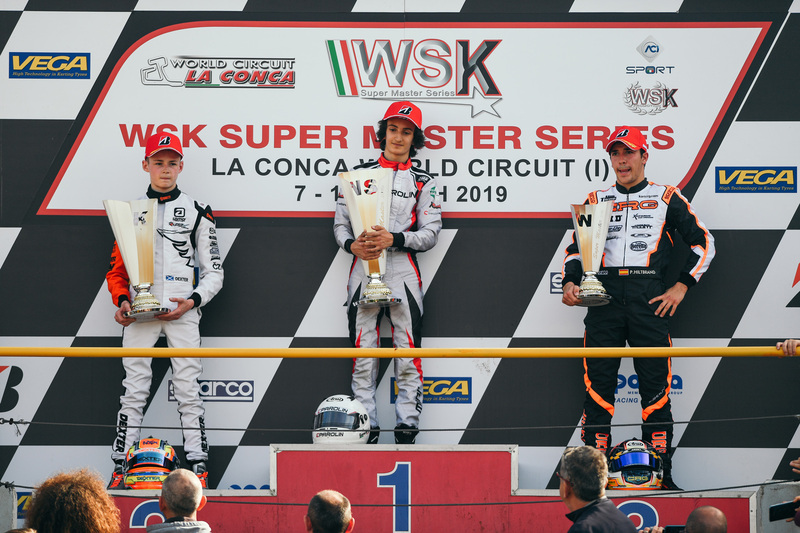 Dexter Patterson (GBR) scores another podium in OK.
Italian Gabriele Minì continues to be competitive and finally wins in OK. Patterson and Pedro Hiltbrand beside him. barriers in the chicane. Those barriers were placed to prevent drivers from excessively cutting the chicane. 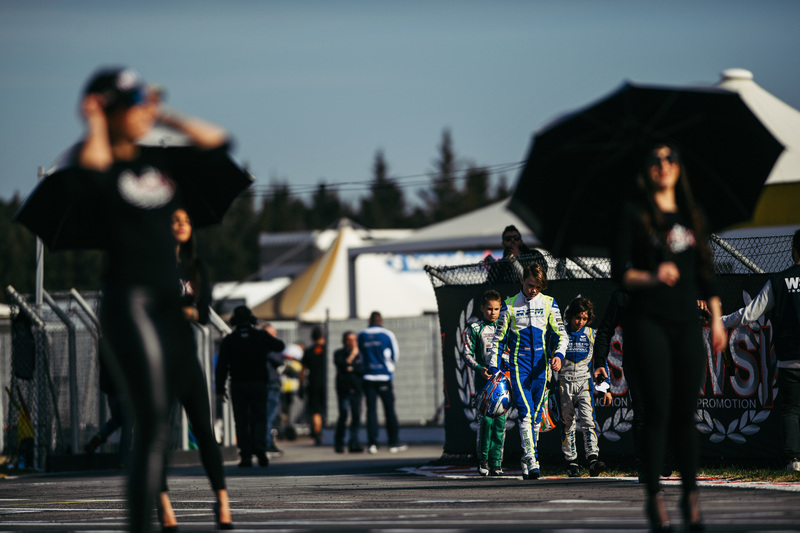 Drivers heading to the podium while the grid prepares for the next race. 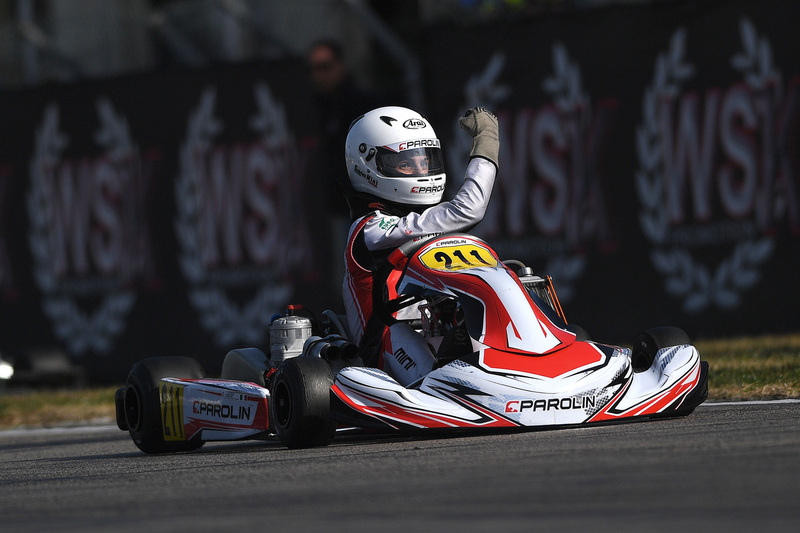 Antonelli again in P1 on OKJ, alongside Thomas Ten Brinke (NED) and Nikita Bedrin (RUS). 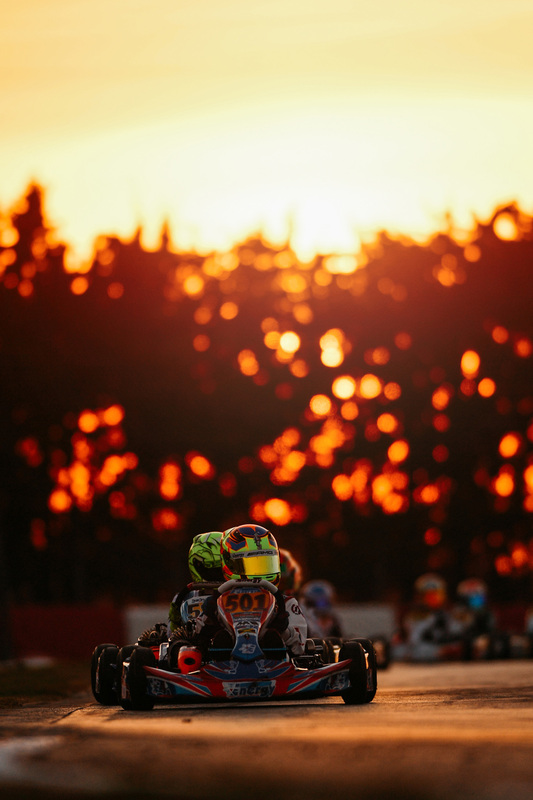 Antonelli in action over a beautiful sunset. 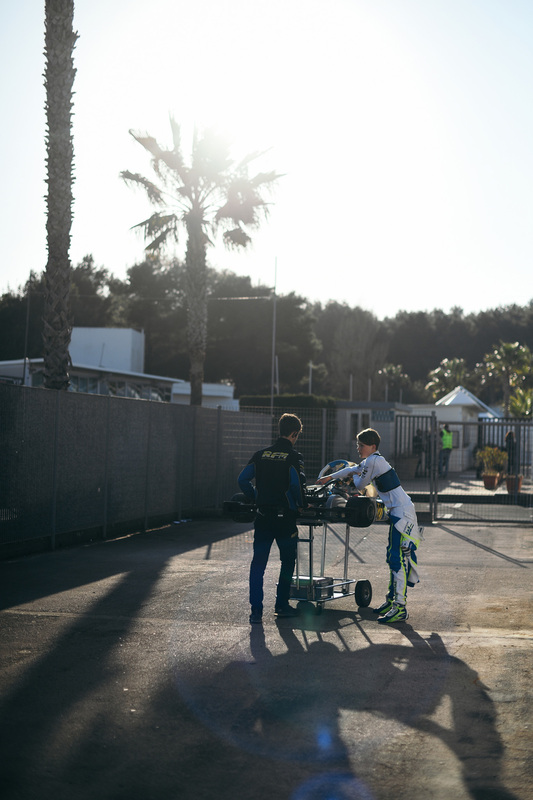 The moment when mechanics can only watch what their driver will do on track. 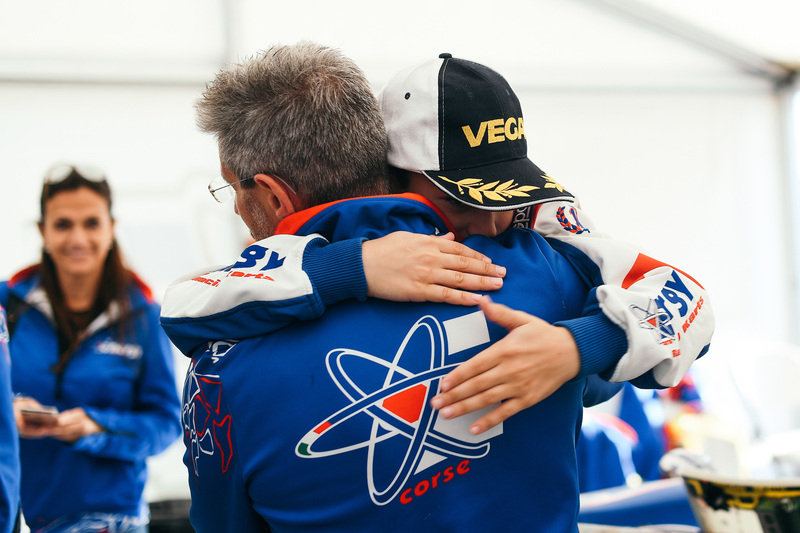 Minì and Lorenzo Travisanutto (IT) were involved in a crash during the heats, with marshals working hard to clean the track. 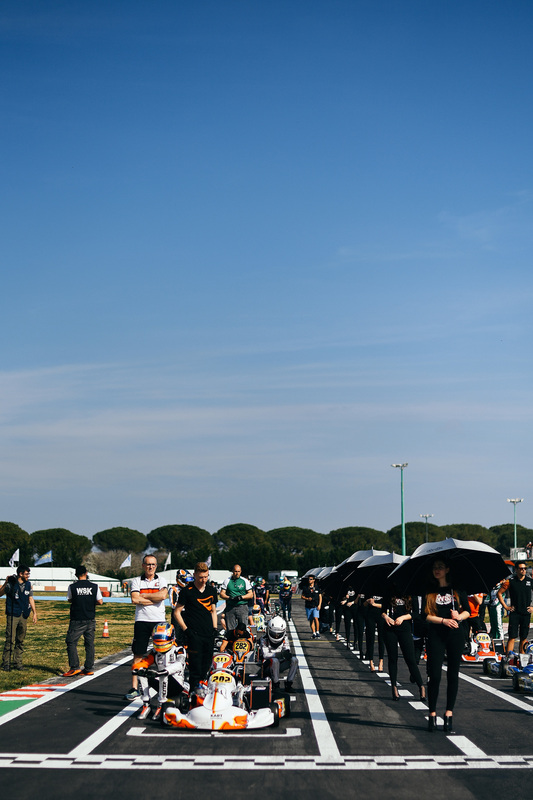 Despite this episode, Minì was able to win the finals. Ten Brinke getting ready for the next heat. Such a magnificent South Italian sunset. Isn't it lovely?! 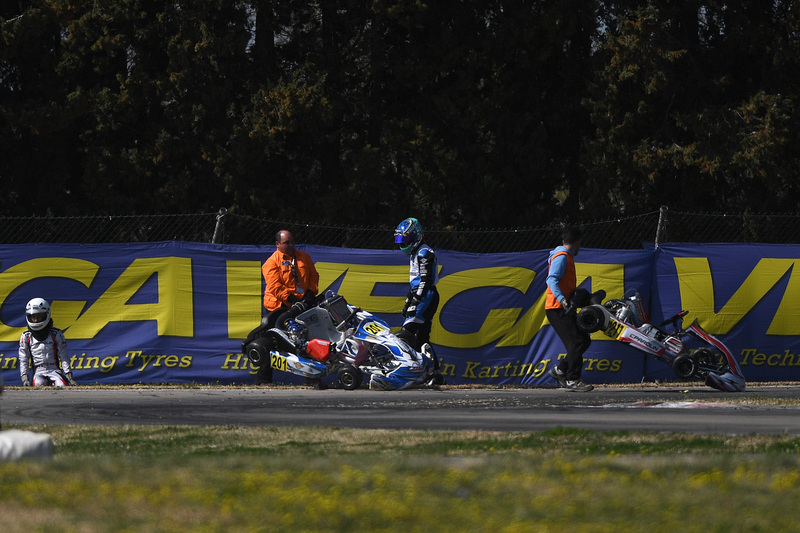 Desperation for local driver Matteo Bagnardi (IT) after rolling over in the prefinal. He was being really competitive. 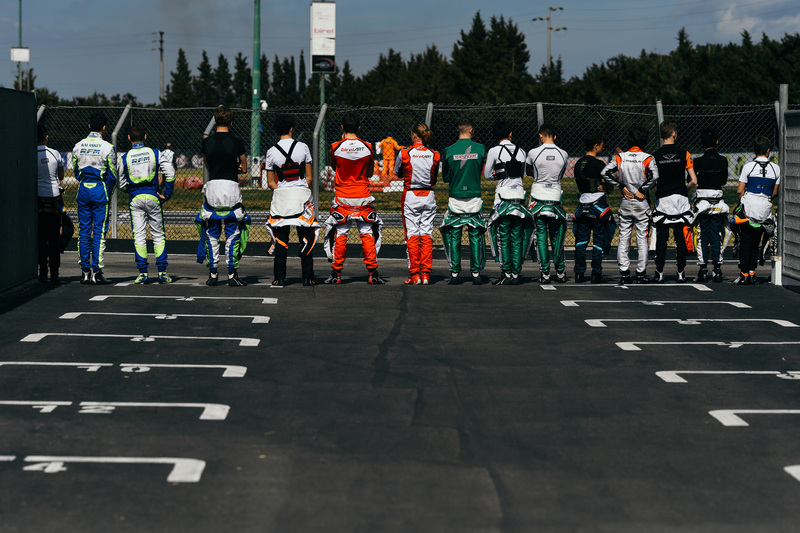 OK drivers in the pre-grid waiting to start the race while they observe the OKJ race. Last encouragements before starting the OK final. 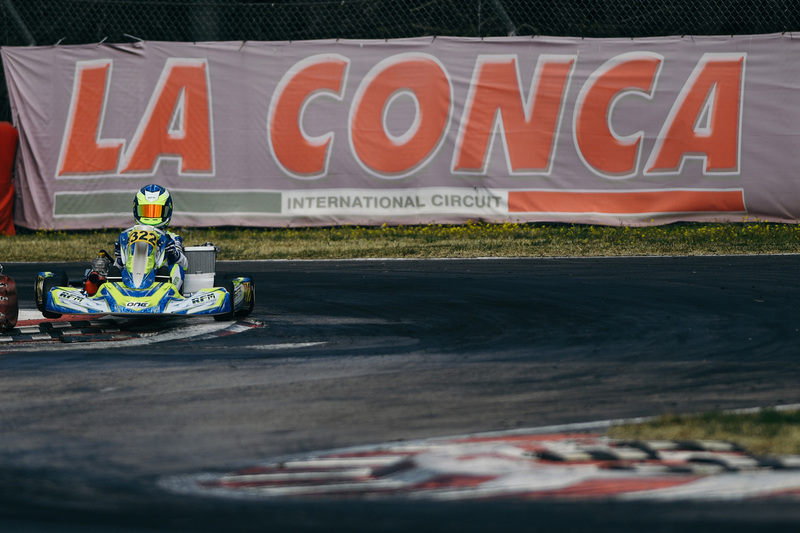 Minì rushes to P1 and wins the final in OK.
Race start in OKJ with Linband on pole. Antonelli crosses the finish line in OKJ. 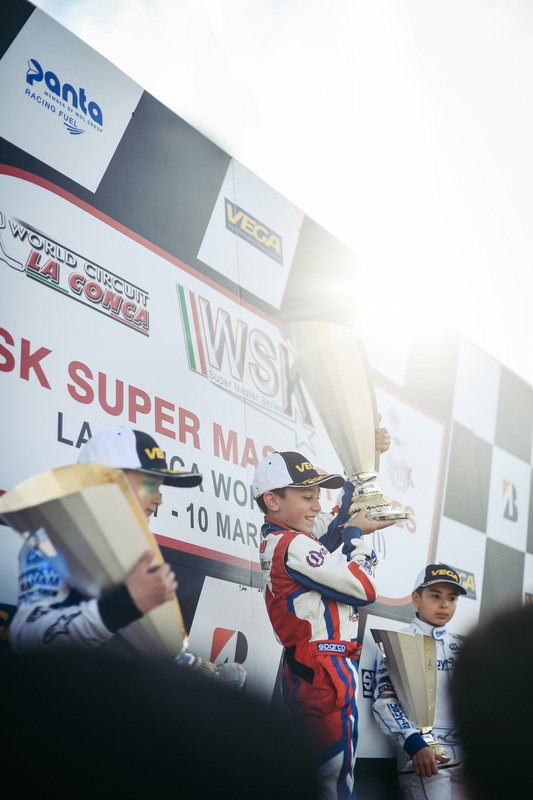 The Photographic review of the final round of the 2019 WSK Super Master series. 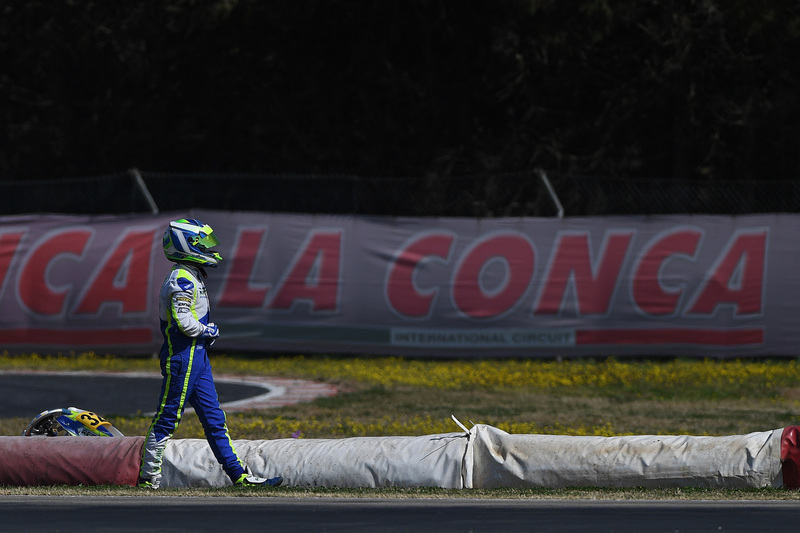 Photographic evidence of the drama that left drivers at the halfway point in the 2019 season. 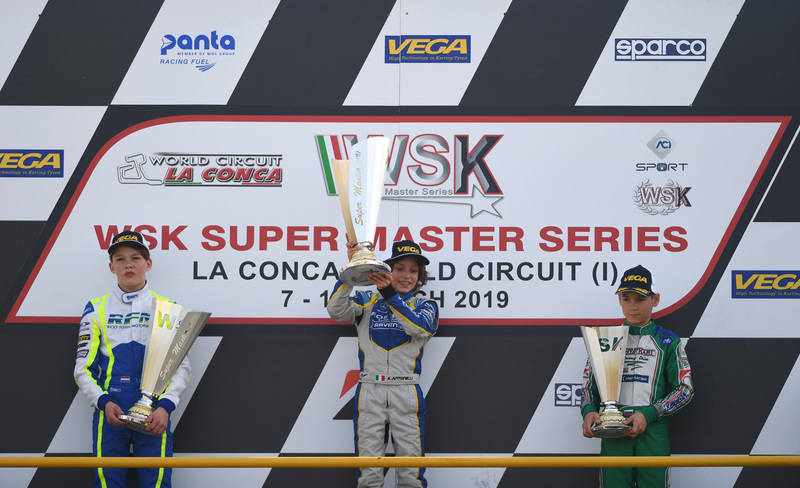 2019 WSK season gets started at Adria International Raceway. 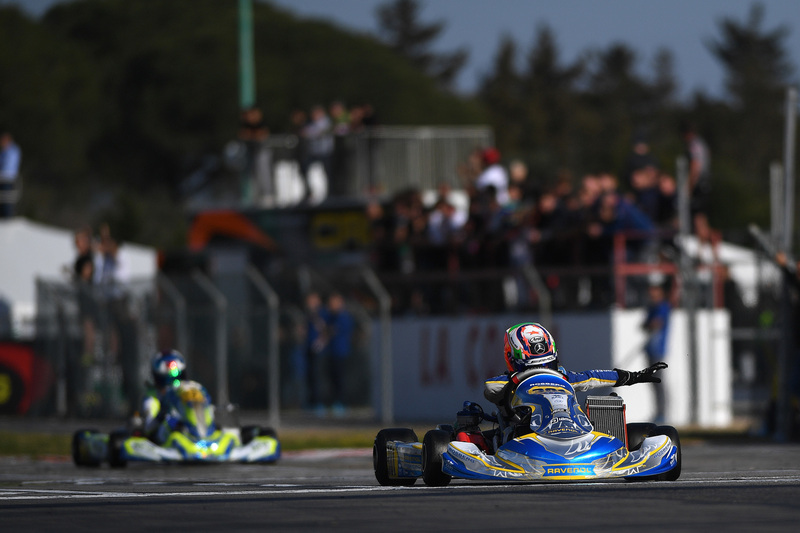 Kart Republic’s Leonardo Marseglia fought like hell to grab a good result at La Conca. 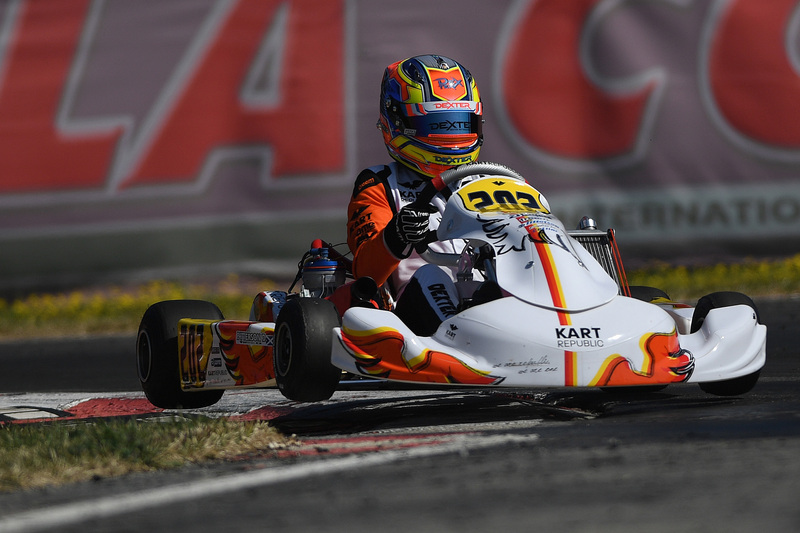 CRG secured a splendid win in KZ2 with Paolo De Conto and a double podium in OK with Pedro Hiltbrand and in OK-Junior with Gabriel Bortoleto in the second round of the WSK Super Master Series held in La Conca. 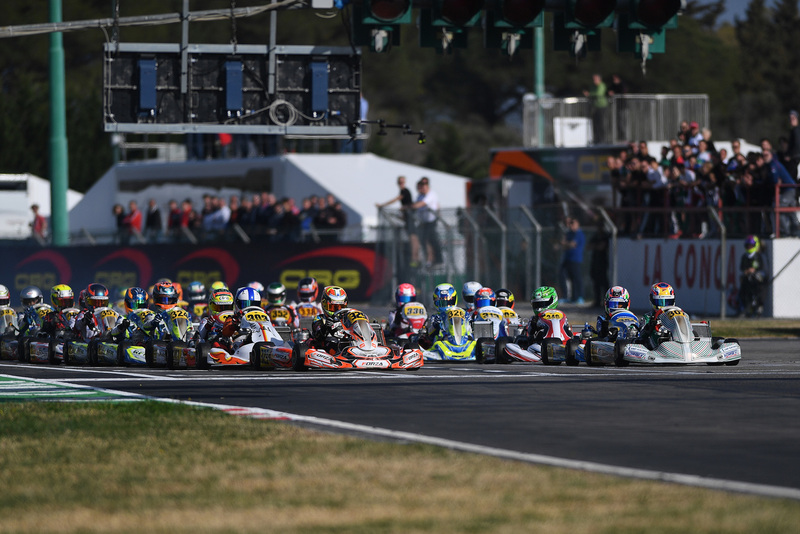 An astonishing 310 entries across just four categories took part in the annual Winter Cup at South Garda Karting.